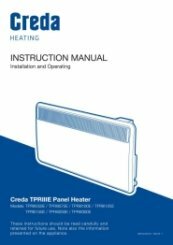 Creda TPRIII075E is the next generation of electric panel heater. 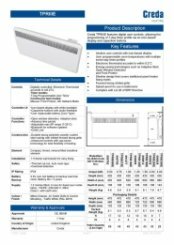 Lot 20 compliant and splash-proof, the TPR 0.75kW can easily power a well-sized room. It offers incredible accuracy (±0.2°C) and includes adaptive start which will help preserve energy until you need it most. 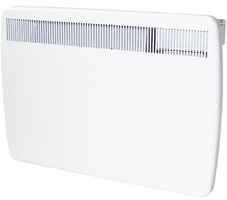 Futuristic open window detection will help your heating solution cope with rapid drops in temperature and provides the ultimate comfort. A sleek stylish heating alternative, the TPR 7.5kw is ahead of the game and enjoys a host of features promoting user friendliness and customisation.